Every time one is invited to a mehendi function, the highlight for any wedding guest is getting that henna mehendi done on the hands. A good design on the wedding guests hand goes a long way in making the event memorable for them…while also giving them a talking point. While most mehendi artists end up doing the usual designs for wedding guests, you can try and be different. Choose a peacock mehendi design for your wedding guests. Why? Take a look. What I love about peacock mehendi designs is that it varies from simple designs to complicated ones. 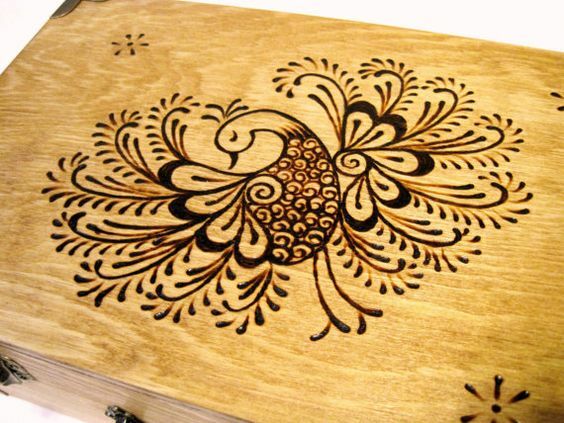 Depending upon your budget, you can choose how complex and how detailed you want the peacock design to be. Not only does this give a theme to your mehendi function, its also as Indian and traditional as it can get. If you want to see how the peacock mehendi designs are made, check out this awesome video by Jigna Mehta. A medium sized peacock mehendi design right in the centre of the palm is doubtlessly suitable for any occasion be it your own wedding or a friend’s. You can also get creative with the peacock designs like showing a peacock dancing in the rain or mirror image peacocks on both the hands. Nowadays peacock inspired tattoos and stamps are also quite common. You can use the stamp or tattoo on your shoulder arm or on your back. It looks really good. Have you ever done a peacock mehendi design on your hands?